Braveaux - This young stallion was purchased & imported from PSI Hof Kasselman in Germany in 2016. Born in March 2013 & even at this young age, Braveaux shows every indication that he will follow his sire, Bordeaux, through to Grand Prix. He has three super paces and shows terrific rideability and a desire to learn. 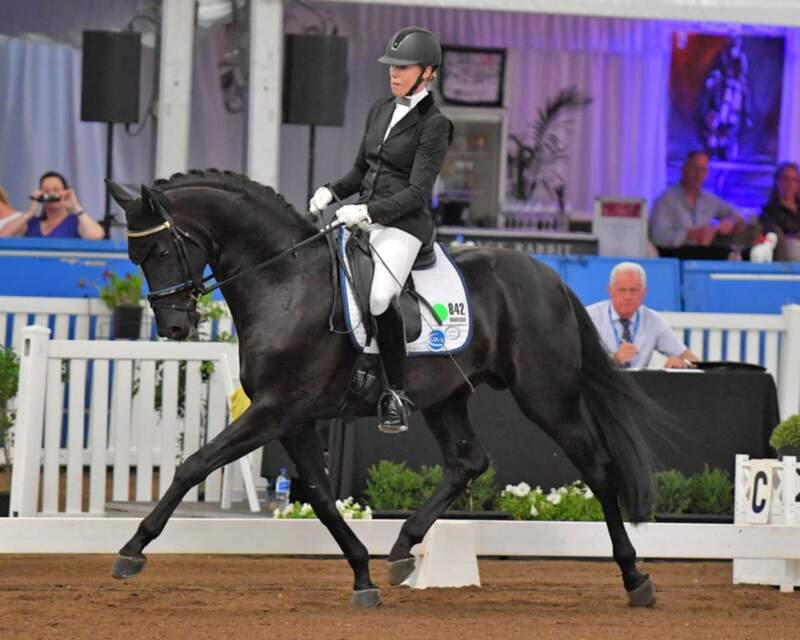 "Blackie" began his competitive career in early 2017 in the 4yo Young Horse classes, placing at Dressage With The Stars and became Champion 4yo at Brisbane CDI. In his 5yo season he scored across the board 9's in the first round at Willinga Park CDI & went on to finish 3rd overall at Dressage With The Stars & in so doing qualified himself for the World Young Dressage Horse Championships. He continues to develop according to the training scale and is being set for the 6yo season in 2019 - we are very excited by what his future may hold. Artes Lauries Gift - this super young dressage star is by Lauries As. "Lochie" has had an outstanding start to his career in Young Horse classes scoring high marks to be Reserve Champion at Dressage With The Stars & Sydney CDI as a 4yo, repeating his efforts in the 5yo classes in 2016. In 2017, his 6yo season, he again scored & placed highly at DWTS & Sydney CDI and was Champion 6yo Young Horse at Brisbane CDI. As well as continuing in the young horse classes in 2018 as a 7yo he is also winning at Advanced level and for sure has all the makings of a future GP horse, showing great ability to collect and a good work ethic. Lochie is proudly owned by Amanda Jakins. Iresias L - a handsome young stallion imported from Hollan 2016, "Johnny" is nick-named for his sire, Glocks Johnson, & is an almost carbon copy of his famous father! Johnny began his competitive career in early 2017 and, with scores over 81%, displayed his outstanding rideability and talent for the sport. His pedigree is stacked with successful Grand Prix competitors & he shares bloodlines with some of the most exciting stars of the next generation such as Dreamboy, Don Olymbrio, Bretton Woods etc. so there is every indication he will one day join the GP ranks too!! In the meantime, Johnny has excelled in his first season of competitive dressage becoming Champion of Champions at Dressage With The Stars (the only 4yo to ever have achieved this) and Champion 4yo at Sydney CDI. 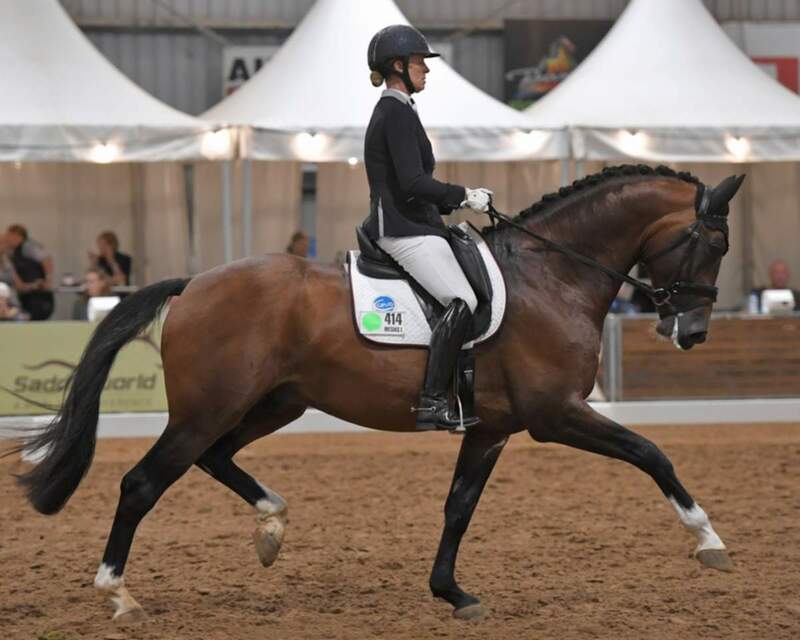 In 2018 Johnny was Champion 5yo at Dressage With The Stars & again was crowned Champion of Champions & qualified for the World Young Dressage Horse Championships. Iresias L is proudly owned by Sarah Hanslow. 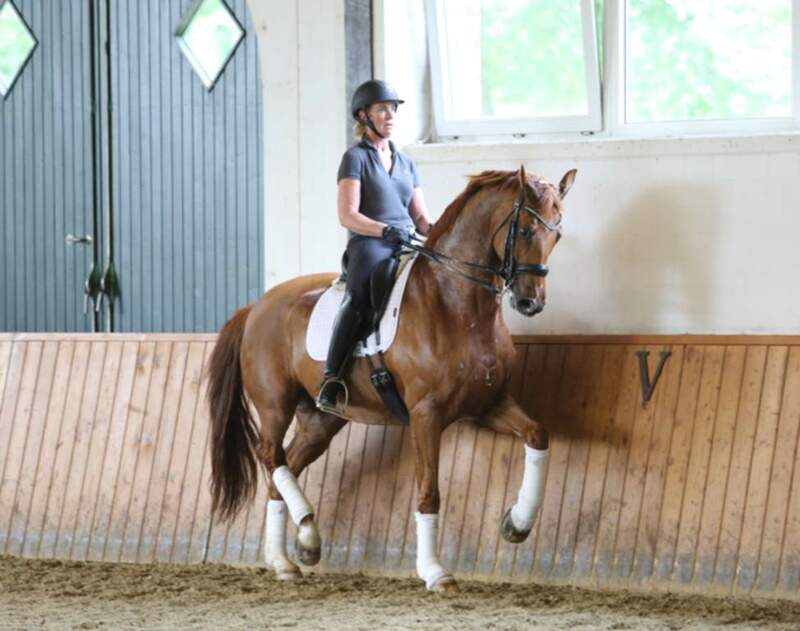 Forlan -is a good looking KWPN bred chesnut gelding by Jazz, imported from Germany in August 2018. "Alan" is now 8 years old & having had much success in Young Horse classes in Europe we are now looking forward to kicking off in Small Tour here in Aus. Alan loves to work & please his rider, he is a powerful, uphill horse & shows terrific collection. He is a very exciting propect & we look forward to competition time! Forlan is proudly owned by Carol Oatley.